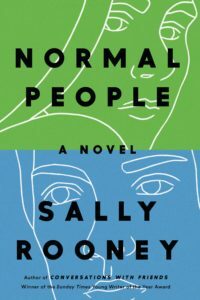 From the author of The Woman Upstairs, a novel about the fraught nature of adolescent female friendship, focusing on two teenage girls who grow up and grow apart in a small Massachusetts town. Her story of a childhood friendship, recounted in the voice of a girl of 16 or 17, does not demonise adulthood or dismiss maturity as valueless; but neither does it say that growing up is going to help much. These children are not merciless judges of their parents, or vice versa. There is a good deal of sympathetic understanding on both sides. The problem, perhaps, is not so much power misused by adults against the helpless as a general powerlessness ... There is a lot of grief in this novel. I resist novelists who want to take me on a guilt trip and at first I thought that’s what Messud was doing, but I was wrong. Her novel is, rather, a kind of ceremony of mourning ...Painful as it may be, this is a hard book to stop reading. Messud is a story teller: the ability to compel and hold the reader’s interest may not be the crown and summit of the art of novel-writing, but it’s the beginning and the end of it. And despite some rather self-conscious passages and improbabilities of voice, the story rewards the reader right through to the end. Messud is an absolute master storyteller and bafflingly good writer ... It is that combination of imagination and skill that makes The Burning Girl exceptional, more so than the story itself, which sometimes veers into the ordinary and unexamined ... 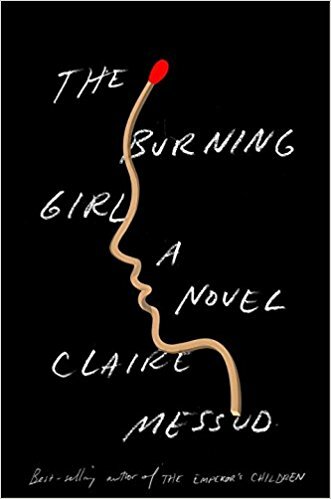 The Burning Girl is at its best when it amplifies that subtle, piercing shift between Cassie and Julia, made brighter by passages of sheer splendorous prose. Almost every page in this novel draws attention to its telling. Its suspense-inducing first sentence establishes a note of foreboding, and yet its full burden doesn’t become clear until the book’s last pages. Messud plays no metafictional or self-reflexive tricks, but the book does offer a continuous loop of narrative, and even the most careful reader will want to return to that beginning with the novel’s ending in mind … To me the book’s concluding pages have too many moving parts, as Messud shifts between Cassie’s unfolding story and the lessons Julia draws from it, the part it plays in her own quickening maturation. Nevertheless The Burning Girl as a whole is both piercingly intelligent and emotionally acute, its ambition at odds with its apparently modest scale. What did you think of The Burning Girl?